First used car purchased from newton and lee, could not fault the service, very helpful staff. If you are looking for a used car try newton & lee first. The car is better than described and is quality on every aspect. More than happy with the car and the customer service is excellent. They helped sort everything out for me and made the whole experience of buying a car breeze. If you're looking for a decent motor and need help or advice and after care, after buying a you're car. Newton & Lee Automotive LTD is the place to go and I highly recommend. Thank you for a great car and making the experience easy. I had a great experience with Newton and Lee, Anthony was great and even delivered my new car to me. I would highly recommended them.Very happy with my new car. Couldn't have asked for a better experience from these guys. Nothing was too much trouble and the professionalism and service was outstanding. This is my second vehicle from this establishment and i'd never buy another car anywhere else. Is highly recommend Newton & Lee to everyone, they were brilliant. 2nd car purchased in a year with these guys, there ever so friendly and helpful and gave me an amazing deal! Got the new car ready within 2days! Great prompt service and will recommend everyone to you guys again! Excellent service, guys were very friendly, up front and most importantly, very real, no sales pitch just telling it as it is. No reason why I wouldn't go back again, keep it up guys. Bought a Jeep Compass from the gents at Newton and Lee, polite professional service. Can't fault them or the car so far. 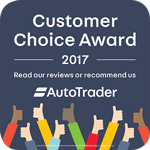 I had a very pleasant and easy experience buying my car, the car was perfect and the company were extremely helpful and friendly. Everything was sorted quickly. I would highly recommend Newton & Lee Automotive Ltd. Very helpful at every step of the process. If I ever needed another car I would use Newton & Lee Automotive again. We are over the moon with our new car and would definitely recommend them to anyone. Excellent service all round. Thank you. Great and honest cars, Tony was a pleasure to deal with and went out of his way to chase any extra queries I had. Very helpful and informative, quick and efficent when dealing with arranging the test drive and the purchase of the car. Would highly recommend. Very positive experience, and would recommend to anyone wanting to buy a car from here. Video of the car was sent and held till the weekend till we could travel to view it. Description was very accurate and nothing hidden. Very professional Service and great communication and friendly guys. Price was perfect. Thank you for easy transaction. Quick, efficient, fair, not pushy, welcoming, caring and professional. Dealt with both guys at Newton and Lee. No pressure sales pitch just got the facts about the car . Couple of things needed sorting which were done with service and mot. Set a day and time to pick up car which was ready to drive away after completion of paperwork. Would recommend. Truly five star experience . Car was ready straight away and with a full mot. Also offered to pick me up from the train station which was a great help. Would recommend to others without hesitation. Recently bought a car here,could not be happier with the car,their customer service from start to finish was excellent,they were very helpfull with sorting all the documentation out. Excellent service all round,would thourghly recommend. The Newton & Lee garage guys were very professional, friendly and customer focused. I was surprised with the service. Car was ready for collection on time with passed MOT, all fixed and clear. I was helped with a finance, Road tax and all other things required to move the car. Even I was lifted from the train station where I came to collect the car to the garage for free. N&L is a best completed solution for buying your car. Thank you guys. Great experience today . No pressure honest and open approach to buying a car. Highly recommended . Great to do business with you Tony. Very professional friendly staff. Would recommend anyone looking for a new car to use this garage. Really helpful from all of the staff there and they've sold me a great car. Great service from start to finish.I would highly recommend them to family and friends. Buying the car was a pleasure, there's was no salesmanship just customer service! Everything was what I wanted, pick up time MOT date - Newton & Lee even paid for my car tax on his bank card because my banking was not working. I would definitely come back here next time I need car. On the MOT an issue was identified with a back spring, it would have been an advisory however Newton & Lee paid for the new part so I had nothing on the MOT when I drove it away. Great service!! Great service. Took great trouble to make sure we were able to drive the car home that day, at very short notice. We'll be going back for our next car. Hassle-free second-hand car purchase, with generous 6 month warranty and 12 months MOT. As a completely new-driver, Tony made the test-drive experience relaxed and pressure-free and even drove the car to a quieter area so I felt comfortable to drive it. Brilliant price for the car and was delivered to our house three days after purchase. Would highly recommend! rare find, an honest 2nd hand car dealership!! Great service all round I would recommend Newton and Lee to everyone who needs a new car. Purchased a car from Newton and Lee, absolutely fantastic customer service, professional staff, and excellent car! Easy transaction, I will definitely recommend and use this company again. Bought a 7 year old polo from Newton and Lee a few weeks ago, excellent condition for a reasonable price. They were very helpful and straightforward to deal with, no admin fee nonsense that you might encounter with the larger dealers. They included a 6 month warranty, again bettering the large dealers. Wouldn't hesitate to buy from them again. After looking on Autotrader for a new car I found the Newton and Lee website. I came upon a Ford Mondeo Estate which was of good quality and a fair price.Anthony made the experience very easy going and answered any queries I had about the car I would recommend this company for anyone worried about buying a second hand car as they are very good at what they do. Guy who dealt with us was great, really friendly, answered all the questions we had, would definitely recommend newton and lee. Excellent customer service, No sales push, Very accommodating, Great local / top notch, business associates, ie.  Mechanic, Garage, MOT, Valet service, Warranty providers etc. Would highly recommend to family / friends. Have just bought eldest daughters first car from N & L, will go back for future deals. both anthony and tony made my experience of buying my car very pleasurable. nothing was a trouble and they did everything i was expecting and very professional and knowledgeable.i would say the best experience i have had when buying a car and i would not hesitate in buying any future cars from them or recommending them to anyone wanting to buy a car.everything from start to finish was handled promptley,politley and friendley. great company and i got the exact car i had been looking for. very helpful, nothing too much trouble. Car was delivered to home and excellent company to deal with. What you can expect when you visit this small outfit is professionalism, integrity and honesty. They have many years experience and understand the value of great customer service. We bought a Volkswagen Polo and are really pleased with the car and the whole process of buying the car. Very easy to deal with. Had a minor issue which wasn't this companies fault, however they dealt with it very well. Would recommend. Can't praise Newton & Lee enough. Excellent clean cars very fair prices and good part ex. Anthony went out of his way to allow me to collect the car the same day which was much appreciated. Highly recommended. Very friendly and extremely helpful guys who will go out of their way to help you. The vehicles they sell are of a very high standard and very fair prices. I spoke to Anthony on the phone and agreed a price on the car I purchased and a price on my part exchange. Anthony also said my new car would be mot'd with no advisories, serviced, 2 new tyres, front pads and discs and a 6 month warranty. I did a 500 mile round trip to get my vauxhall insignia with absolutely no issues from the garage at all, everything was as agreed and It was by far the easiest car buying experience I have ever had. I will be going back to Newton and Lee when I next need another car, even though it is a 500 mile trip. Absolutely no complaints and a very happy customer. Excellent customer service. I bought the car without viewing it first due to the feedback. I was not disappointed. Car drives spot on. Bodywork immaculate (as described) and the team is so easy to deal with. I had a couple of issues after I got home (1.5 hour drive from them) but they went out of their way to sort them for me. No passing the buck. A pleasure to buy from and highly recommend them. Honest car sale from genuine people. We're very happy to recommend Newton & Lee. We found them professional, patient, helpful and non-pushy car dealers. They eased the stress of car buying and have since provided good after sales service. Best ever car buying experience we have ever had two super guys with the knowledge to make you you feel 100 per cent confident in purchasing a car. No pushy sales pitch and as much time as needed to look and test drive. Would recommend this garage to anyone without hesitation. I stumbled across Newton & Lee whilst looking on Auto Trader. I decided to pay them a visit that week and was immediately overwhelmed by the variety of cars they had on their forecourt. They have cars to suit everyone's needs. Luckily we had a car in mind for my mum and took it for a test drive straight away. We decided we liked it so we went for it. A week later after putting the car through an MOT, Service, 2 new tyres, we picked up the car, sorted out tax and warranty before leaving the forecourt, and my mum couldn't be happier. Unfortunately after approx 2 weeks the car started to make a noise, I had it looked at, it needed a wheel bearing, the exhaust was also rattling but not too bad. I rang Newton and Lee who didn't hesitate to pick the car up to get the work done. On return the wheel bearing had been replaced and a new FULL exhaust fitted all paid for by Newton & Lee. Brilliant service, they look after their customers. I will definitely be using/recommend them again. Thanks! Excellent service, they were so helpful and friendly, would highly recommend them. Looking for a small hatchback auto for mother which we found at Newton and lee. Our experience was smooth, professional and relaxed with no pressure at all. Car was delivered by Anthony who was also our salesman, a real gent, everything carried out as promised, most important though, mother liked him. Delighted with our purchase. Thanks again Anthony . This is my first experience buying a car as have always had Motability cars and I can not thank the guys there enough for their support during my purchase. I would definitely recommend this garage. Professional, reliable, honest. I would totally recommend this place to anybody who's after a decent car and superb customer service. I bought an Audi A3 from here and was really impressed with the service provided by this relatively new company. The salesman was open and honest with any questions and concerns that I had and never seemed to try to push the sale. I've visited quite a few dealers over the past couple of weeks and these guys really stand out as genuine people selling decent cars. Thanks for the great service. Fantastic car! Brilliant guys. Despite a miscommunication by the finance company which meant me surprising them by telling them I was picking the car up 'tomorrow', they pulled out all the stops and made it happen. I then spent a very pleasant few hours chatting to Anthony and Tony while we waited for the car to be prepared and mot'd. A couple of customers came in during that time and were treated very well. There was no pressure, and their friendly, approachable attitude was a refreshing change from the norm. I wouldn't hesitate to recommend or use these guys again. Saab is driving like a dream, and now I'm back down South I've even had the roof off in the sunshine! Thanks again for your patience and efforts in delivering under pressure. I wish you all the best for a successful future. Chris. Newton and Lee were very helpful and understanding after a last minute decision and rush to purchase a car that day. No pressure was put on for the sale and the quality of the car spoke for itself, really happy with the purchase. The added extras, such as MOT with no advisories and the 6 month warranty package really make the difference over buying from a private seller. Finance package was perfect for me and the rate was great, and Newton and Lee contacted the financier directly in order to get the paperwork sorted as soon as possible so I could drive the vehicle away that day. They even kept the kids entertained whilst I finalised the paperwork, there were paper airplanes all over the place. Bought a car from here this weekend and really happy with the service. I've had some really bad experiences in the past but would definitely buy from here again. Made very welcome by Tony when we arrived. He was very knowledgeable about the car we went to see and answered all our questions professionally and honestly. When we had decided to buy the car he had the car perfectly prepared and then sorted out the whole buying and transferring of ownership process quickly and easily. Would highly recommend Tony and Newton & Lee. The guys were fantastic and really helpful, they helped me find the perfect car and got it ready for me in no time! Would highly recommend and would recommend everyone to them! Positive experience, friendly and great customer service!!!! the service I received both before I even went to see the car and when I was purchasing was fantastic. highly recommend. Great car and overall great service. Wouldn't hesitate to use them again in the future. Great experience, left feeling confident had made the rite choice. Great 2nd hand car garage. Would definitely check there stock 1st next time I'm looking for a car. Went above and beyond what you would normally expect for customer service. Brilliant would highly recommend and use them again. Recently purchased a Toyota Yaris and I am very satisfied, excellent service and great to find my first car here after over a month of searching elsewhere! All communication throughout the process was timely and accurate, giving me confidence to get the train to Durham, & get picked up in the very car that interested me (and that I am now happily driving). Excellent service with new mot, full service and breakdown cover for 3 months. Highly recommend. From the moment I stepped into Newton & Lee I felt at ease and comfortable. They advised me on what car to buy and NOT to buy ! They genuinely care about their customers and have gone the extra mile for me. I would definately recommend them to anyone looking for a car with a friendly non pressurised service. Very helpful and friendly staff who don't put any pressure on making you buy a car. Fantastic customer service and they made buying my car so simple. I would definitely return here to buy a car in the future and would highly recommend them! Thanks very much for your help! Good friendly customer service,most importantly sold me a good car. Can't fault them. We bought a 2011 Zafira from Newton and Lee. There was no pressure to buy whatsoever and really friendly helpful service. The car is great, they made it look like new for us. The free 6 month warranty really puts your mind at ease when buying an older car. Highly recommended. Newton and Lee automotive were incredibly nice and helpful, they didn't bother us and let us look around the car in our own time. I would highly recommend newton and Lee as they were not pushy and really friendly and easy to talk to. I purchased a car from newton and lee and I found the service outstanding. The staff there are extremely helpful and that's what you want when buying a car. Would highly recommended for anyone buying a car. Easy to deal with and pleasant Sales Team, no complaints and don't forsee any would recommend. Very helpful staff. Explained everything clearly and very accommodating. Would definitely use again. From start to finish phone calls to actually meeting the owners, everything was done very professionally, and seem to have a good reputation. On meeting the owners I could tell they are genuine blokes that want to maintain a good rep, they sorted everything for me, and the main thing I'm very happy with my new car that came with a 12 month warranty including breakdown cover. Definitely recommend newton and Lee. Really easy people to deal with. Went out of their way to help the sale go through and stayed open late for me to come and collect the car. Would definitely use again and worth driving 2 hours to buy the car. Had a really fair test drive with the car sales man with me. Told me the specs of the car and how I will get the best out of it. Disscussed a break down cover. Sorted out my tax for the car. Told me what's best for myself as I'm a new driver on the road. I bought a car about a week ago and everything is fine with it .The guys at the garage were very helpful as my old car broke down on the way to garage so they come and picked us up.My car was old and not really worth anything but they still took it part ex and sorted everything out . Just purchased a nice little car from Newton and Lee and l am very happy with my car.l don't enjoy looking for cars it's up there with a visit to the dentists but l would recommend this seller to anyone. The car was exactly as described in the advert no nasty surprises and absoulety no hard sell. If your looking for a nice clean low mileage vehicle give this garage a try. Great service from the start, bought a great car from this garage. When we bought the car we realised that there was a slight problem with the locking system, which we were slightly worried about, they then ordered another lock straight after we had informed them, without any issues or problems. They were very polite and very helpful throughout the process of buying the car. Would recommend this garage to anyone. It's so refreshing to find a car dealer who we feel we can genuinely trust. We recently bought a Volvo V50. It is a fantastic car and they were great throughout. They listened to us, gave great straightforward information and advice and always stuck to commitments. I have no hesitation in recommending Newton & Lee and will definitely go when we are ready to buy our next car. Best car buying experience we have ever had. We'd buy from them again if we'd have to. Found a Suzuki Swift on AutoTrader that Newton & Lee Automotive Ltd was selling. Gave them a quick ring to check it was still in stock and went over. I received excellent service upon arrival and was taken on an immediate test drive. Bought car then and there! Car in great condition, with excellent mileage and interior condition. Great price, got a discount on a warranty. Would definitely purchase with Newton & Lee again! Newton and Lee were attentive, informative and extremely helpful. They were able to discuss every car we looked at and were honest about their suitably to my needs. Once I had chosen my car they were then able to fast track an MOT so that I could take it home on the day. I would definitely use Newton & Lee again and recommend them to anyone looking for a reliable second hand car. Their Customer Service was excellent and my new car was immaculate upon collection. Easy to deal with, took all the work out of buying a car and went that extra mile to make sure I was happy with the deal. Overall experience was excellent, very friendly service and very helpful in terms of advice that was given. Will be recommending the business to friends and family! Excellent customer service. Keeps in touch, fast replies and is a reliable dealer that does things right! We have just taken delivery of my partner's first car from Newton and Lee. The car arrived presented to a great standard, reflective of a seamless buying process. We can't wait to get behind the wheel. Thank you! Just bought a ford focus Titanium lovely car! No pressure just good advice from two genuine Blokes. Would recommend a visit today! Car also came with a decent warranty. Really good service! They went the extra mile and I left very happy with a lovely car that I'm sure is going to serve me well. Everything from calling for an enquiry to signing for the car was amazing, buying my first car was real easy and Tony even helped with my insurance and tax. Fantastic customer service. I received a response to my e-mail on their day off from Anthony saying he would call at 10am as per my request the following day. I put the guys under a bit of pressure as I was looking to purchase my Saab 9-5 that day and they bent over backwards to get the car ready the same day as I was travelling down from Scotland. When I arrived it was a professional but laid back environment where we had a much needed coffee and a good chat. Car is excellent and can't say enough positive things to justify the service. If you see a car you like in Newton and Lee I would say go for it. We were told about the proprietors' background in the motor trade and how they go about conducting their business.We were treated in a friendly and helpful manner without any pressure. We consider that our purchase would have been good value even without the 12 month MOT and warranty.We have been very pleased with it since. We would certainly go to Newton And Lee again in the future and would unhesitatingly recommend them to others. Excellent service all round. Friendly and helpful. My old car broke down on the Friday, and by the next Wednesday I was sorted with a shiny new one which is absolutely perfect for what I need. I felt I was listened to, and valued and that is very important. I'd go as far to say that it was the best car buying experience yet! No hassle, and nothing was too much problem. Lovely. Friendly service with no pressure. Would certainly recommend them. Gave me plenty of time to view the car, very flexible in terms of pickup date. Genuine nice people to deal with.I would use this company again. I found the car I wanted at Newton & Lee automotive, although it was Friday when I phoned I arranged a viewing on Saturday and was driving the car home Monday fully serviced and 12 months Mot, nothing could have been easier. No hard sell or pushy sales, it was very relaxed and nothing could have been easier. Nothing was a problem for Newton & Lee a 5 star treatment from start to finish. A great experience and nice people to deal with, no pushy salesmen just the owner who obviously cares about his business and his customers. Will defiantly recommend to others. Outstanding service from Newton & Lee. Very happy with my purchase. Would definitely recommend these guys. Two very polite and professional gentlemen, the service I received was easy and straight forward, took me through exactly what was happening with the car right through to collection. Thankyou. Buying my pre owned car from Newton and Lee was hassle free and honestly described. I found Tony (Mister Newton) very pleasant to deal with no high pressure sales talk. I can highly recommend this company to anyone who is looking to buy a well presented good quality car. Baught a great car from newton and lee and great price too. They were really helpful and happy to help. Both such nice genuine guys, car was gleaming inside and out. Very happy with my purchase and i highly recommend them. Claire. Old School reliable personal touch......what a breath of fresh air in these days of faceless sales methods. I saw the car advertised online which was the specification I was looking for and at a favourable price. As I live in Cornwall and the dealership is in Co Durham I checked travel options and found flying was the cheapest and quickest option (Exeter to Newcastle) they offered to pick me up from the airport on a Sunday (their day off) and drive me to their premises where the car was waiting ready prepared and exactly as described. Anthony was friendly, easy to talk to and very organised which made the handover of the car quick and simple so I could hit the road for my long journey back to Cornwall. The car performed faultlessly and the whole experience has been a very positive one. The next time we need another car Newton & Lee Automative will be first on our car search despite the distance. Excellent service and highly recommended. Anthony very clearly does have a customer first attitude. From our initial enquiry to final handing over of the keys, we were kept informed, listened to and treated with respect. Anthony is very approachable and friendly and calls back when he says he will! We would definitely recommend using Newton &Lee Automotive Ltd.
Would definitely recommend! Came and bought a Chevrolet Aveo and the customer service was fantastic! great deal on the car and I couldn't be happier with the car I've bought. Within 10 minutes of arriving the guys at Newton lee had the car registered to me and taxed so I could drive away there and then, no waiting for days or chasing up car salesman! Thanks very much. Excellent customer service, excellent cars, really friendly people. Couldn't recommend it more! Fantastic experience. A pleasure to buy cars from with exceptional customer care. Bought a car, well presented, great deal, 6 months warranty a real bonus. Being able to drive away same day is great. Wrote it off after 8 days. Been today for a replacement. Again exceptional service and genuine concern for my passenger and I. Would highly recommend this place. I will be buying my daughters car from them when she passes her test. We'll worth a visit. A very friendly and welcoming team. The car was exactly what I was looking for so I bought it there and then. I'll try to keep this short and sweet. If you're looking for a car but are sick of sleazy salesmen always trying to get one over on you, these guys are for you. Very honest, approachable and down to earth. If you have a car in your sights, I urge you to consider them. I genuinely do not intend to go for my cars anywhere else in the future. First class level of service. These are people who care about what they do. Great dealers, trustworthy people, obvious care for their cars and a very welcoming place. Would recommend to anyone in the market for a 2nd hand car. Friendly and efficient. Tony was very pleasant and happy to work around my working hours and also my location for both the sale and delivery of the car. 6 months warranty and post-sales courtesy call sealed the deal. Friendly team. This has been the easiest and quickest car sale ever. I would recommend without hesitation. The car was exactly what I thought it would be, no hidden surprises. Very genuine and open honest guys, couldn't be more helpful or accommodating, very comfortable when expressing potential concerns given my previous experience with cars, wasn't made to feel inferior being a woman, I would definitely recommend friends and family based on my experience...and wishing the guys and the business all the best! Big thumbs up well done guys! Thank you! The car we found was perfect. The guys who own the garage were very friendly and only to happy to open on a Sunday afternoon so we could view the car. There was no hard sell just really helpful. When we collected the car it was prepped to a high standard and when one of the wheel trims was damages they ran around without arguement to find replacements. Very nice gentleman and would certainly recommend them. I bought my first ever car from Newton and Lee today and they now have a loyal customer for life! After 2 years off the road, I was nervous about looking for a new car and trying to find one that would be perfect for me and my little boy. From the very first phone consultation I was looked after and absolutely treat like a valued customer. What really comes across is their professionalism and passion for their business, as well as their drive for building a solid reputation for being trustworthy and reliable. They listened to what I wanted and needed from a car, recommended one that would be perfect for me, and went above and beyond every expectation of mine. I have had many cars over the last 11 years - but none that have been presented as immaculately inside and out. I adore my car and the whole process was easy and completely stress-free. I cannot recommend Newton and Lee enough. Their attention to detail and drive for amazing customer service is exemplary. Thank you so, so much!! Excellent friendly service, would definitely recommend. It was hard to find the dealership but once I did, I found the car I was after and the salesmen got the car prepared and ready for me within a day and I was able to drive it away. Very helpful and honest. I would recommend this dealership to anyone. Very professional and friendly service. I found them very trust worthy. Nice clean competitively priced cars. Would recommend this car dealer. Found exactly what we wanted easily with the help of Tony from Newton & Lee Automotive Ltd.He was extremely helpful and gave us all the advise we needed.Would happily recommend the company to friends if they were needing a second-hand car in the future.